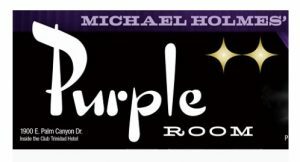 After a sold out show this past December, we are so happy to be back with Michael Holmes and the crew at The Purple Room. Don’t pass us over as we resurrect our act for you on this fabulous holiday weekend. Leave the Purple Room with a full basket of memories and laughs.